Packing up all of the belongings in your household has to be one of the most tedious aspects of moving, and having some extra help along the way can really help reduce the stress of the entire process. Whether you have high-value items that require extra care or you just don’t have time to go room to room packing boxes, Liberty Movers offers Worcester packing services to suit your needs. As a trusted full-service moving company since 1920, we have the experience, skills, and affordable solutions you’ve been searching for to eliminate the hassle of relocation. 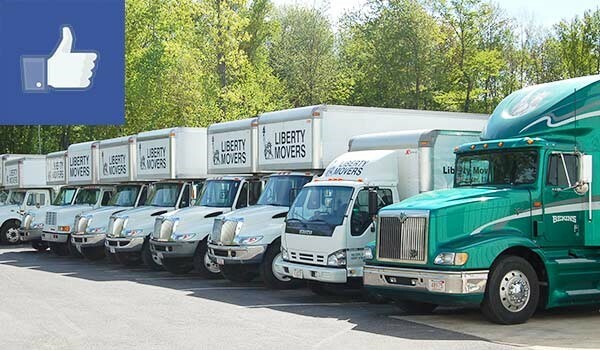 When it comes to relocation in Worcester, moving and packing go hand-in-hand, and Liberty Movers offers a wide range of services to accommodate the unique needs of your household. By using high-quality materials and professionally-trained crews, we can provide courteous and affordable packing services that will help you get your home ready for moving day in no time! Getting the most out of your moving budget comes from working with a team of expert Worcester residential movers who thoroughly understand all the challenges of the moving process. At Liberty Movers, customer satisfaction is our top priority, and we go the extra mile to ensure that your moving and packing services will exceed your expectations. For more information and to speak with a friendly moving professional, just give us a call today. You can also fill out our online form now, and we’ll get you set up for a free, no-obligation estimate.